CHICAGO (March 10, 2011) — In its 26th year of honoring the nation’s best high school athletes, The Gatorade Company, in collaboration with ESPN RISE, today announced Danielle Walczak of Oyster River High School as its 2010-11 Gatorade New Hampshire Girls Basketball Player of the Year. 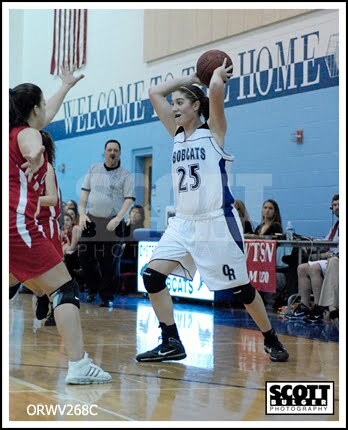 Walczak is the first Gatorade New Hampshire Girls Basketball Player of the Year to be chosen from Oyster River High School. The 6-foot-1 senior center averaged 19.2 points, 8.9 rebounds, 3.7 assists, 3.5 blocks and 3.3 steals per game this past season, leading the Bobcats (14-6) to the Division II state quarterfinals. The two-time returning Class I Player of the Year as named by the New Hampshire Basketball Coaches Organization, Walczak recorded a 72.0 field-goal percentage. She produced 16.6 points and 11.4 rebounds per contest as a junior in addition to leading Oyster River to the 2009 Class I state title as a sophomore. Walczak captured 2009 and 2010 Class I First team All-State honors. Walczak has maintained a 4.00 GPA in the classroom and ranks No. 6 in her graduating class. An active member of her church community, she has donated her time as a youth basketball instructor, as part of a youth literacy-outreach program and on behalf of the American Cancer Society’s Relay for Life. 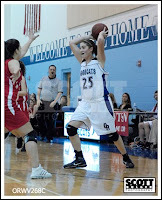 Walczak has signed a National Letter of Intent to play basketball on scholarship at the University of Maine this fall. Walczak joins recent Gatorade New Hampshire Girls Basketball Player of the Year, three-time winner Tiffany Ruffin (2007-08, 2008-09 & 2009-10, Winnacunnet) among the state’s list of former award winners.